Many conservative politicians we see on television are pushing hate surrounding healthcare reform. When it’s something new, people hate out of fear — fear of change. It’s change President Barack Obama asked us to believe in only a couple years ago. The Patient Protection and Affordable Care Act (ACA), nicknamed “Obamacare” by the Grand Old Party, goes into effect on Jan. 1. As of Oct. 1 anyone living without health insurance can apply by going to HealthCare.gov. The website is also helpful for those who have no clue about the law. According to a September Kaiser Health Tracking Poll, 51 percent of the population still has questions about the act. 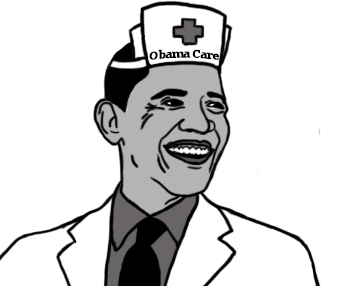 Of those lacking information, 67 percent are uninsured, who would benefit the most. Many on the opposing side say the financial burden will be disastrous. According to The White House, six out of 10 uninsured qualify to pay less than $100 a month for basic health care. Federal funding is paying for the expansion of Medicaid. Some Southern states, however, have refused to accept the expansion. What we know is that the key to success is young people. Taking a quick glance at Delta’s campus, that’s a lot of us. The more uninsured people that sign up, the easier it will be to balance costs of those who are sick and in need of medical services. For those that already have insurance, the coverage gets better. If you are insured under a parent’s plan, you can hang in there until the age of 26, according to section 2714 of the act. In January, women can no longer be charged more than men, and insurers can’t drop you if you are seriously ill.
California Gov. Jerry Brown is a leader in implementing the ACA within the state. According to an August Rolling Stone interview, Brown’s decisions will assist at least 1.4 million uninsured citizens. Employee insurance coverage is not doomed. But it is changing, and so are the choices of employers with less than 50 employees. It is almost a copout for large companies to blame the ACA for limiting coverage and hours, or just hiring part-time workers. According to USA Today, the law affects mostly smaller companies. Thus, the portion of the law requiring insurance for full-time workers has been postponed until 2015. If not, they face a $2,000 fine per-employee. If an employee’s insurance is cut or impacted, purchasing from the new marketplace might offer better coverage. According to the White House, “economists agree that employers offer health insurance to help attract and retain the most talented employees.” Also, it compares to the successful, smaller-scale reform enacted in Massachusetts while Mitt Romney was governor. If Republicans want to repeal “Obamacare,” they should first try to come up with a solution. With plenty of positive outcomes, what is in the law that gives people the heebie-jeebies? Is it the penalty you’ll be charged if you don’t buy coverage? The tax depends on income and individual or family status. But the choice seems so obvious. Pay a tax and have no insurance, or have insurance and pay.